Henry Perin%u2019s brother, Christopher, opened Perins Grammar School. 19 boys were admitted from Alresford, Bishop%u2019s Sutton and Cheriton. They each paid one shilling, and a further shilling every year thereafter. They started at the age of 9 and studied reading, writing, arithmetic, grammar and classics. They studied from 6am %u2013 8.30am, 9am-11am, and 2pm %u2013 5pm. Church on Sundays and Bank Holidays was compulsory. who each paid 30-36 guineas a year depending on their age. But after all this time, the school had fallen into a state of disrepair, and the County Council took charge, making it co-educational. 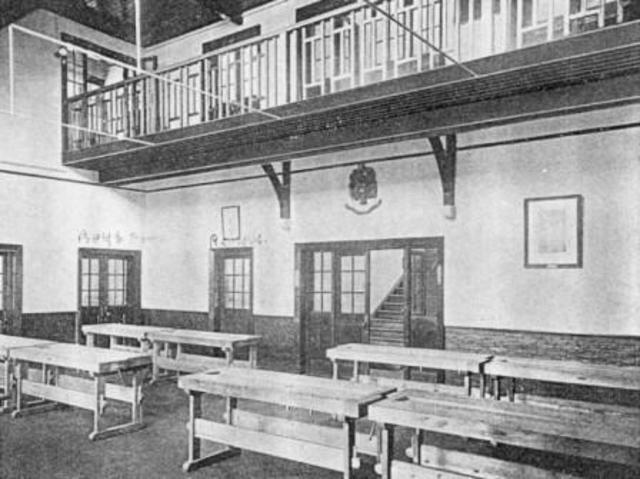 The school reopened in 1900 with 41 girls and boys, and became a great success. the 58 pupils were locked out of the school and had to have lessons in the nearby Swan Hotel. Mr Britten then took over the school and gave all pupils a military rank. They were even expected to salute the Headmaster whenever he passed them. the school was thriving with 2 classrooms teaching English, Maths, Science, History, Geography, French, Latin, Music and Drill. But, with 63 pupils, the school was running out of space. A 4000 pound new school was completed on the Pound Hill site, with 7 classrooms, a school hall and a playing field. Go to http://www.perins.net/moodle/file.php/857/Perinshistoryprospectus.htm to see the prospectus for the school at this time.